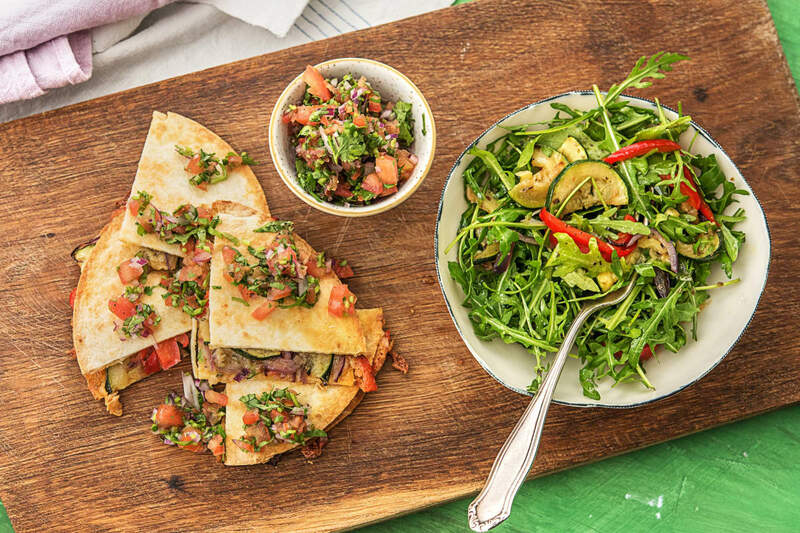 Quesadillas are one of the only foods we will never ever get tired of. They’re versatile, hearty, and oozing with cheesy deliciousness, after all. And thanks to the secret layer of chipotle mayo on these wonders, we will never look at quesadillas the same way again. 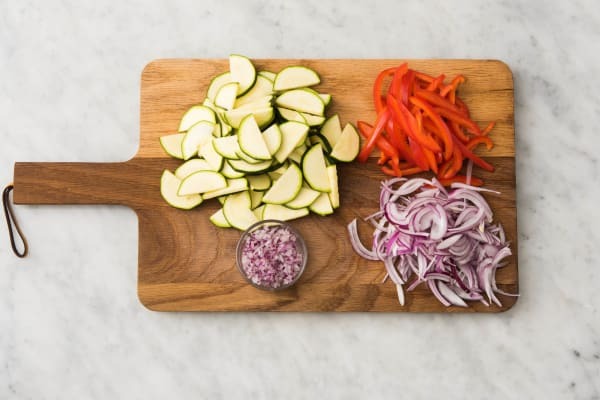 The condiment adds a kick of smoky heat, which is essential to amping up the sweetness of the roasted veggies that fill out these tortillas. Wash and dry all produce. Adjust rack to middle position and preheat oven to 400 degrees. Halve, peel, and thinly slice onion. Finely chop a few slices until you have 2 TBSP; set this aside in a small bowl. Core and seed bell pepper, then thinly slice. 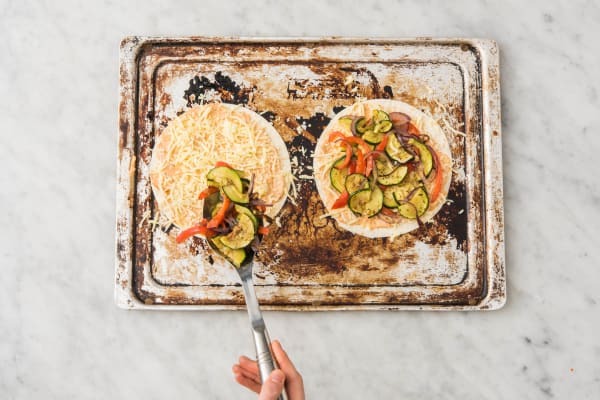 Halve zucchini lengthwise, then slice into thin half-moons. 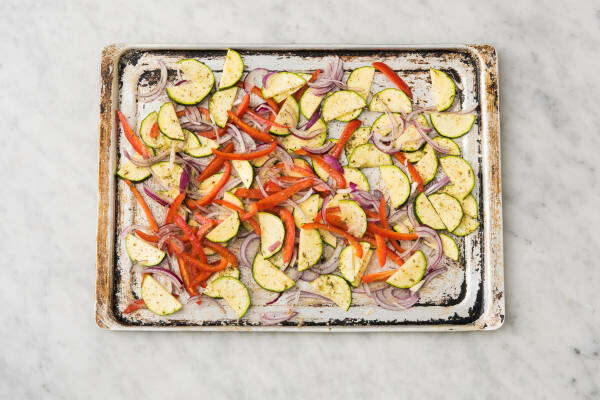 Toss zucchini, sliced onion, bell pepper, oregano, and a drizzle of olive oil on a baking sheet. Season with salt and pepper. Roast in oven until softened and lightly browned, 12-15 minutes. Finely chop cilantro. Core, seed, and dice tomato. Halve lime. 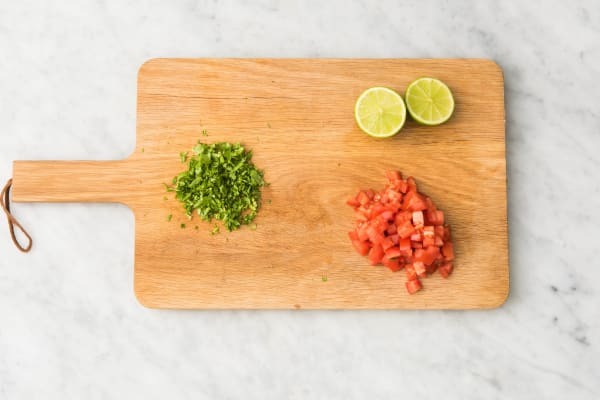 Add tomato, cilantro, and a squeeze of lime to bowl with chopped onion and toss to combine. Season with salt and pepper. 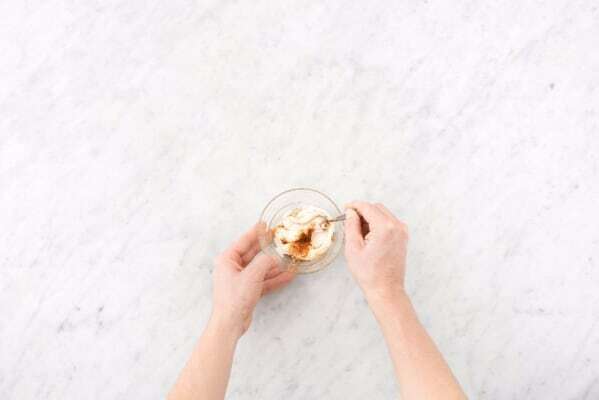 In another small bowl, combine mayonnaise and chipotle powder (to taste—start with a pinch and go up from there). Once veggies are done, remove from oven and increase temperature to 450 degrees. Brush one side of 4 tortillas (we sent more) with a drizzle of olive oil each. Place 2 of the tortillas on another baking sheet, oiled-side down. Spread a bit of chipotle mayo on each. Top with mozzarella and a few veggies (save some veggies for salad). Cover with remaining tortillas, oiled-side up. Bake quesadillas in oven until cheese melts and tortillas crisp, 6-10 minutes, flipping halfway through. 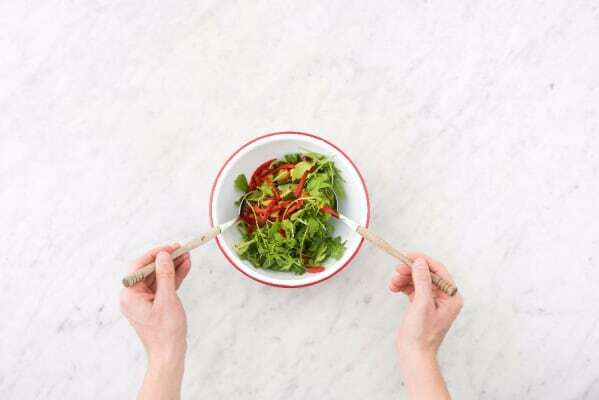 Toss remaining veggies, arugula, a squeeze of lime, and a drizzle of olive oil in a large bowl. Season with salt and pepper. Cut quesadillas into wedges. Serve with pico de gallo and salad on the side.